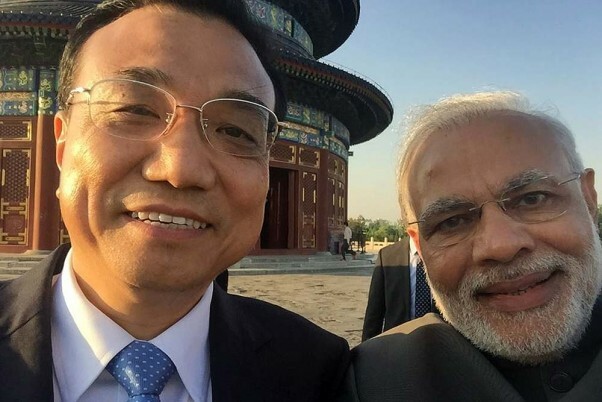 Narendra Modi posts a selfie taken with Chinese Premier Li Keqiang on his facebook timeline and writes: It's selfie time! Thanks Premier Li. 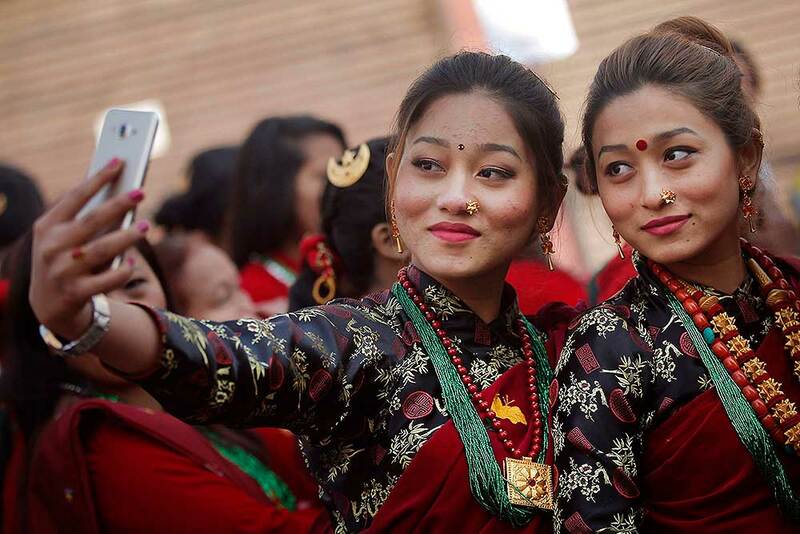 Nepalese Gurung community women wearing traditional attire take their selfie at a parade to mark their New Year known as "Tamu Loshar" in Kathmandu, Nepal. 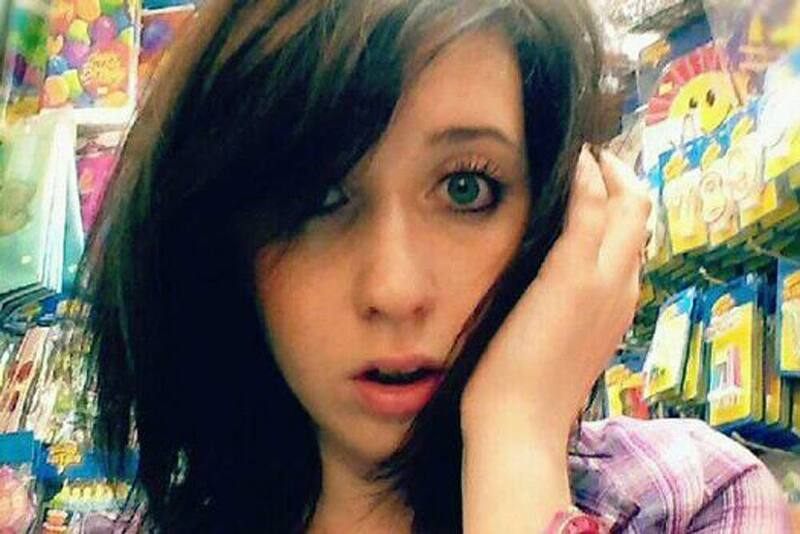 A 21 year old Russian woman named Anna Krupeynikova fell off a bridge while trying to take a selfie, in Russia. 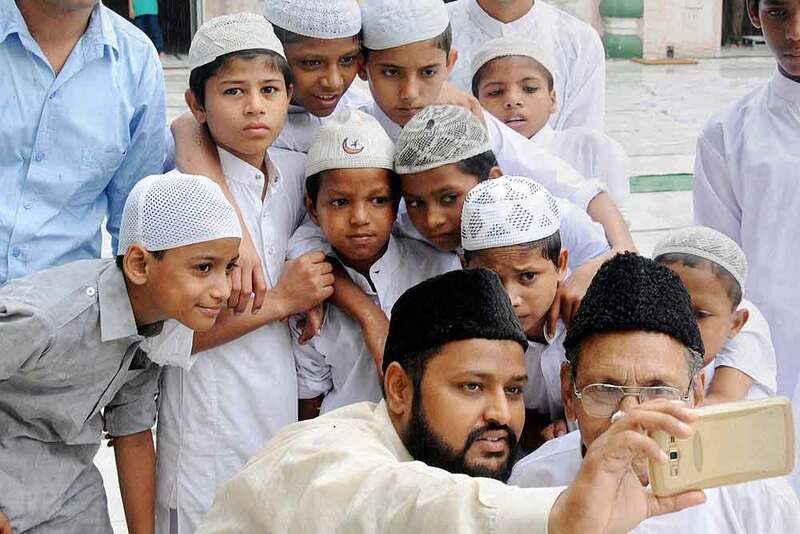 Muslims take selfie after offering prayers on the occasion of Eid-ul-Fitar festival at Jama Masjid, in Amritsar. 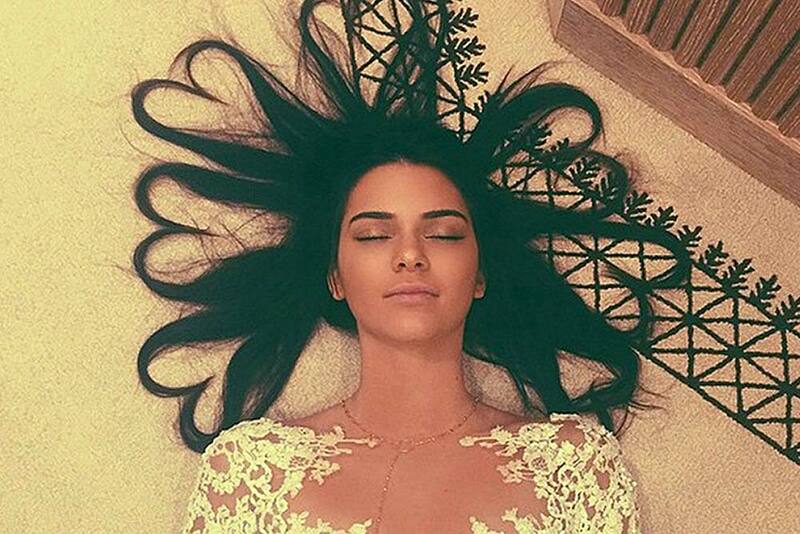 Kendall Jenner’s selfie, the most liked pic in the history of Instagram with 2.6 milion likes. 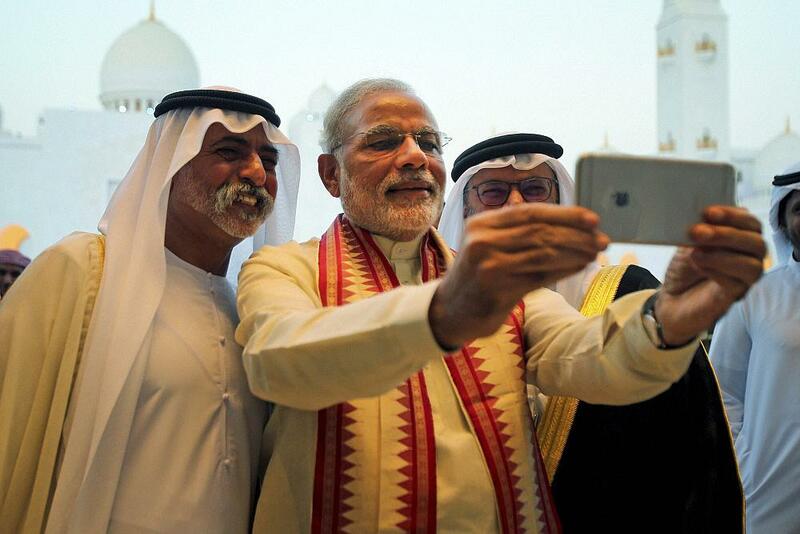 Prime Minister Narendra Modi takes a selfie with Sheikh Hamdan bin Mubarak Al Nahyan, UAE Minister of Higher Education and Scientific Research, during his visit to the Sheikh Zayed Grand Mosque on the first day of his two-day visit to the UAE, in Abu Dhabi, United Arab Emirates. 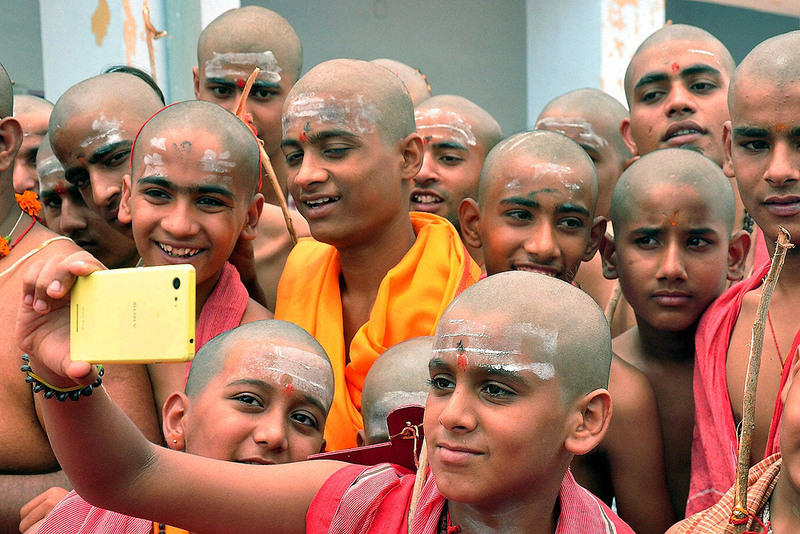 Boys take selfie during their "Yajnopavit Sanskar" at a village in Bikaner. 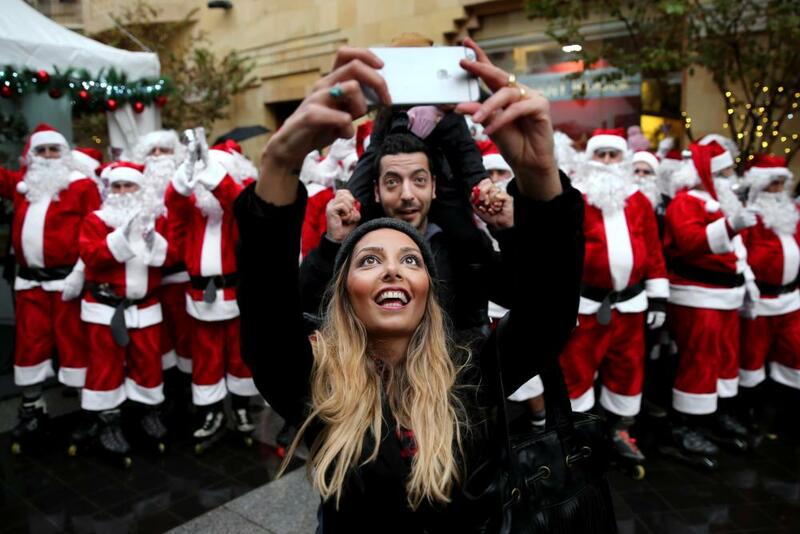 Actress Priyanka Chopra, center, has a selfie photo taken with fans during the IIFA Gala Screening as part of the three-day long International Indian Film Academy (IIFA) awards held in Kuala Lumpur, Malaysia. The 16th IIFA is scheduled for June 5-7 in Malaysia. 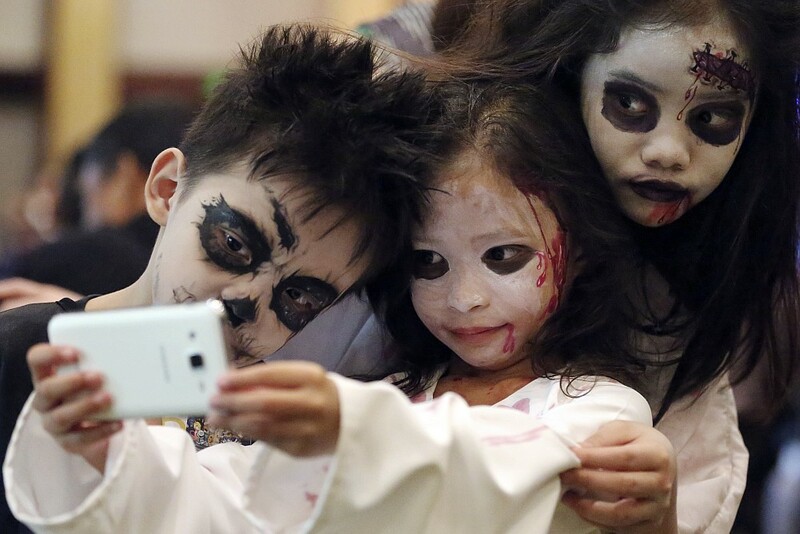 Filipino children, from left, Gabriele Ryan Cortez, Andrea Nicole Baclagan and Chloe Denise Idpan pose for a selfie during a Halloween event in Manila, Philippines. 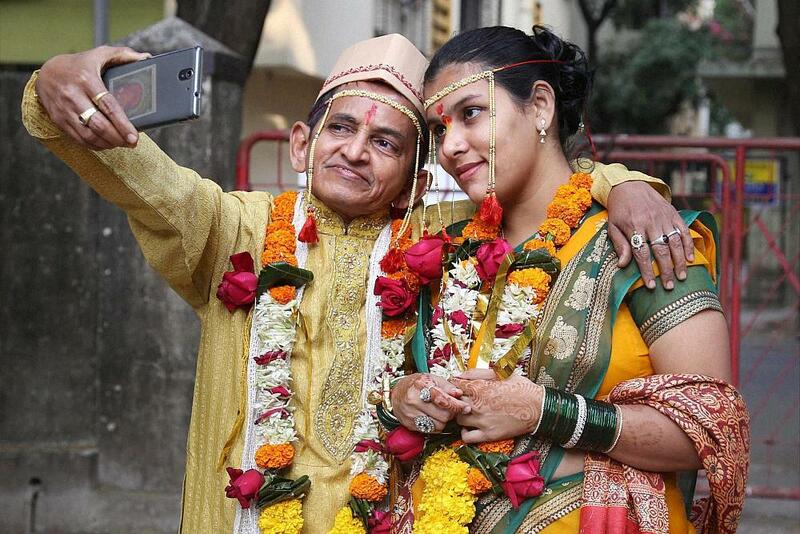 Selfie-Same Purpose The Calcutta International Film Festival has always afforded great photo-ops for the entertainment-loving CM of Bengal—a supplier of fairs, celebrations and circuses without match in the country. 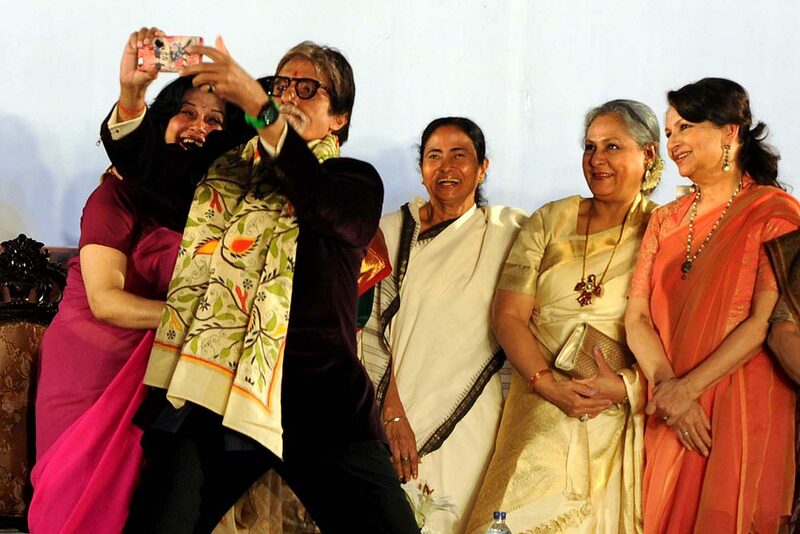 The pure fun of the mom­ent captu­res Amitabh and four grand dames—Moushumi Chatterjee, Mamata Banerjee, Jaya Bachchan and Sharmila Tagore. Looks like the animal kingdom does not want to lag behind as far as the latest trends go. 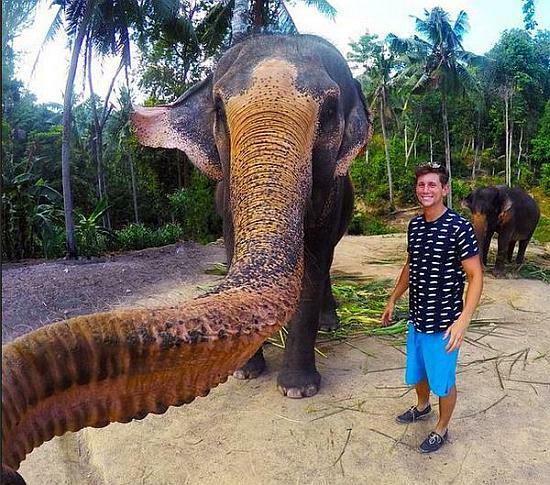 The “elphie” which was taken on Koh Phangan Island in southeast Thailand has now taken the internet by storm. 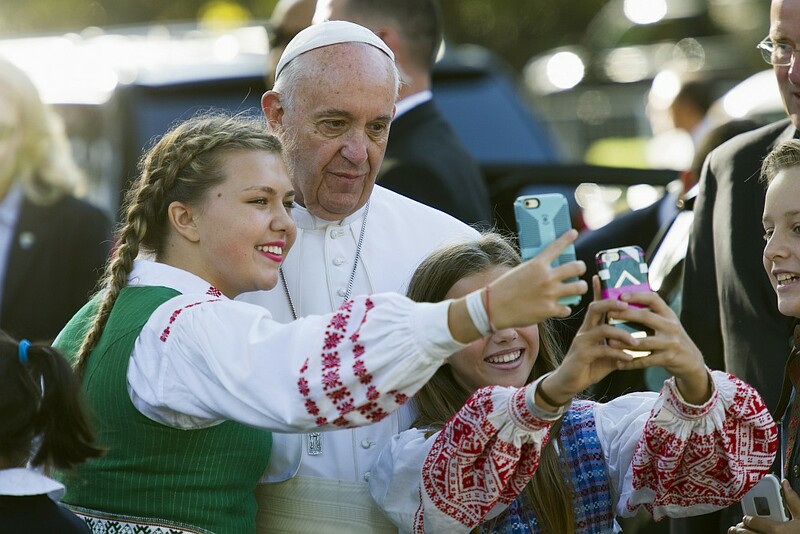 Children of parents who work at the Lithuanian Embassy take selfies with Pope Francis as he departs from the Apostolic Nunciature, the Vatican's diplomatic mission in Washington. 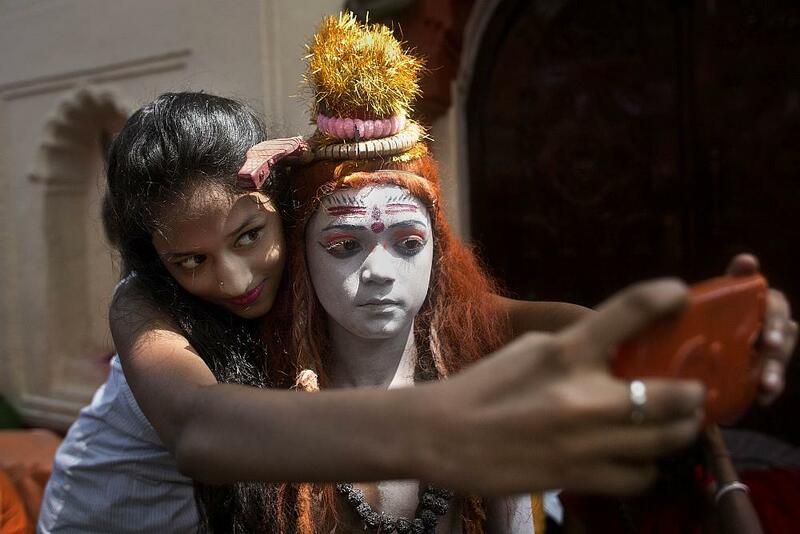 A girl takes a selfie with a boy dressed up Lord Shiva at the Kamakhya temple during the annual Ambubasi festival in Gauhati, Assam. 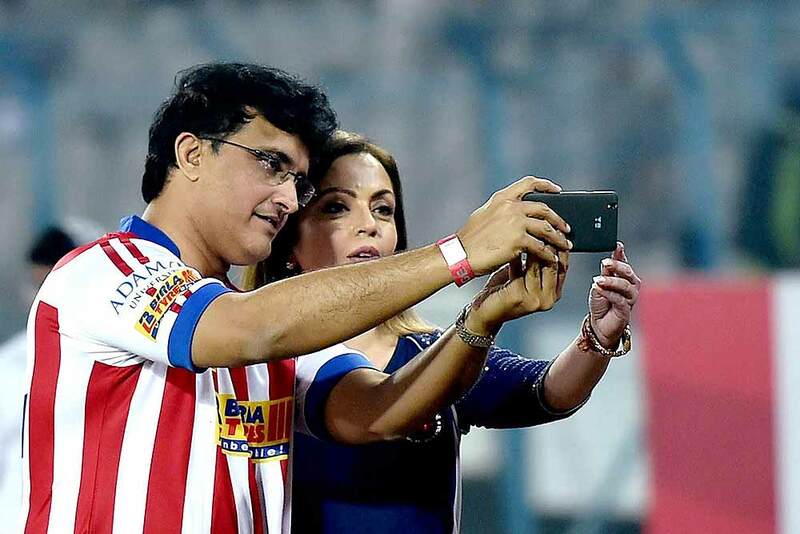 Atletico de Kolkata co-owner Sourav Ganguly clicks selfie with Nita Ambani during an ISL Match, in Kolkata.